Reaction - measures how those who participate in the program react to it. Learning - the extent to which participants change attitudes, improve knowledge, and increase skill as a result of attending the program. Behavior - the extent to which a change in behavior has occurred because the participants attended the training program. Results - the final results that occurred because the participants attended the program. 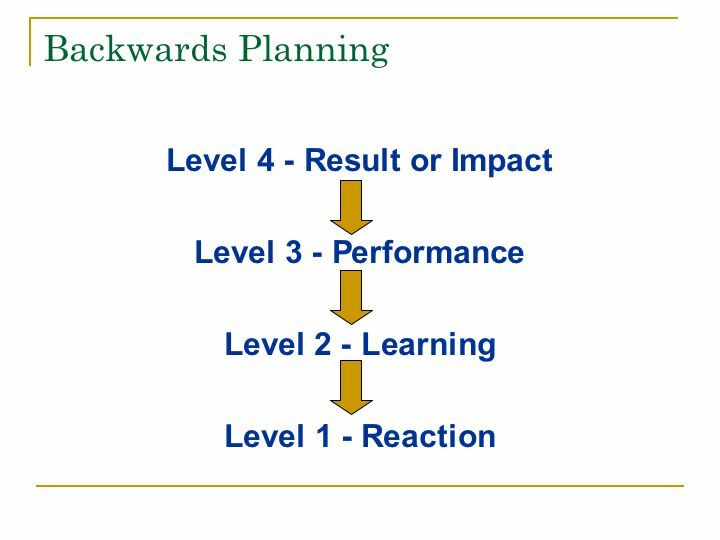 For more information, see Kirkpatrick's Four-Level Evaluation Model.